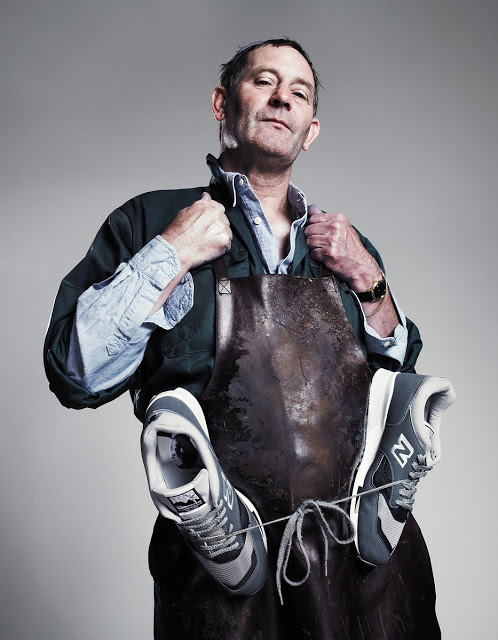 In this day and age, it’s rare to get a pair of trainers from this Flimby era that are still in this condition – (Deadstock, that is) – but when you do, there’s always some enjoyment in lacing them up for the first time. 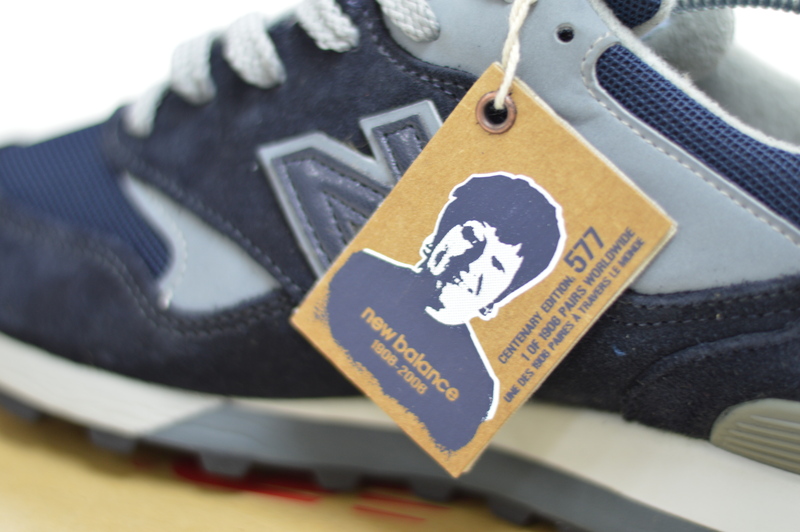 The pair featured here is a stone-cold Flimby classic, well, theres three to be precise, but this pair is one of them. 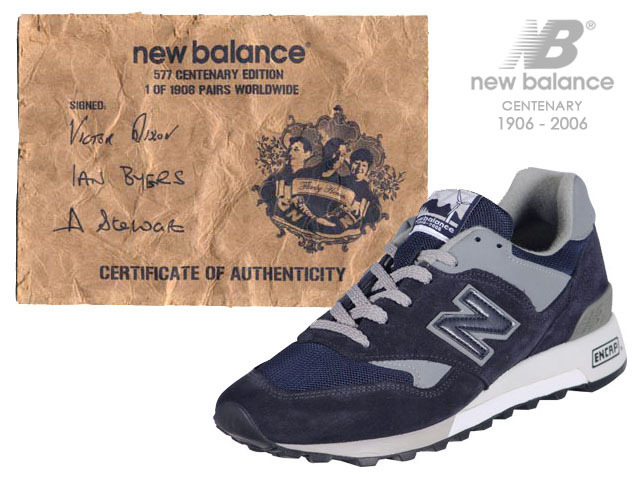 If you asked any New Balance aficionado to name three models that are Flimby favourites, I reckon they’d name the 577, 670 and 1500, actually, I’d be willing to put money on that. 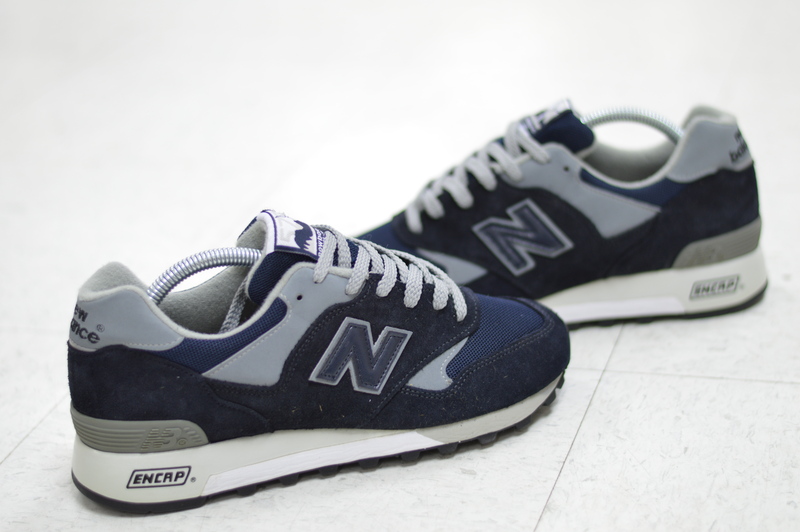 But if we wanted to stretch that further and choose colourways of the 577 for example, 99% would most likely say the 577NG (navy/grey) and it’s no wonder when this colourway is a cult classic. 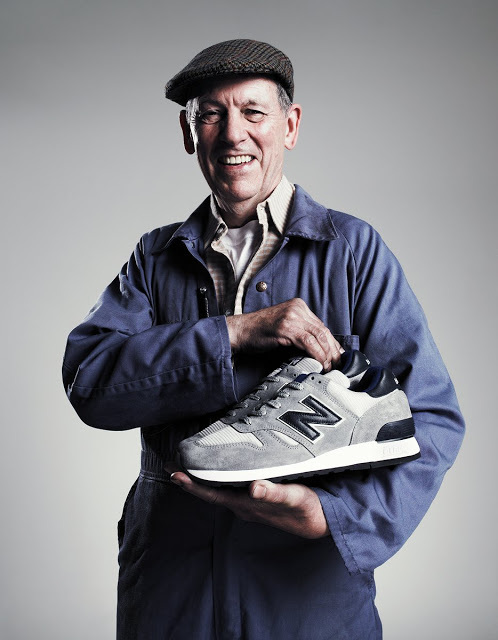 The New Balance factory in the UK is located at Flimby, near the Lake District, and behind every good factory, are it’s loyal workers. 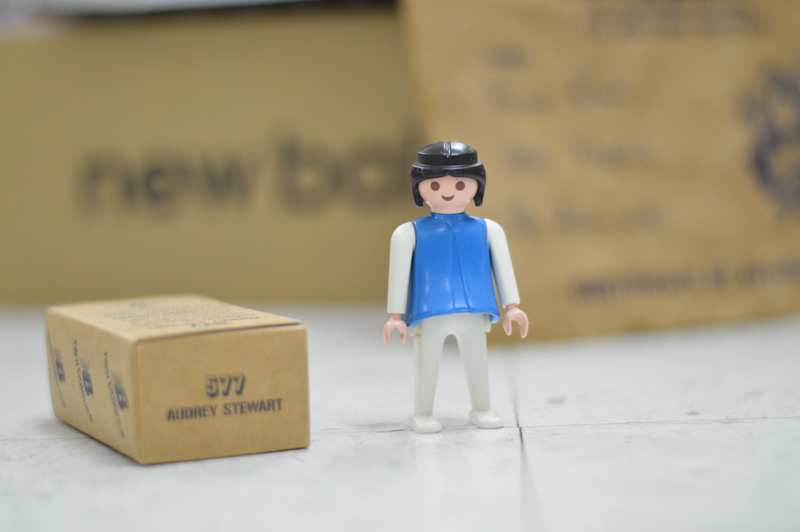 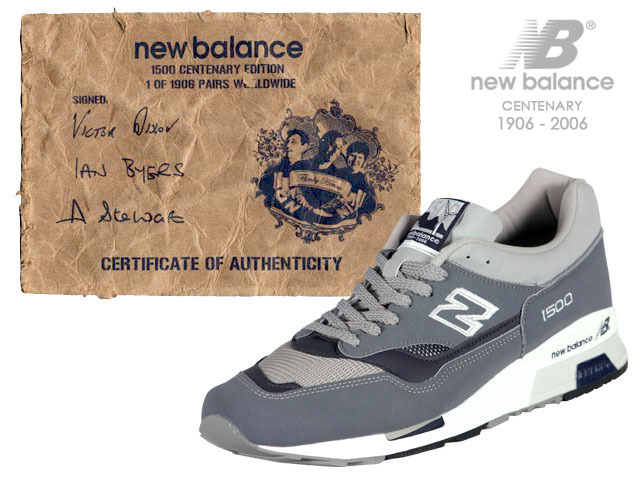 New Balance was founded in 1906 as ‘New Balance Arch Support Company’ and when 2006 came around, it was time to celebrate New Balance’s 100 year anniversary. 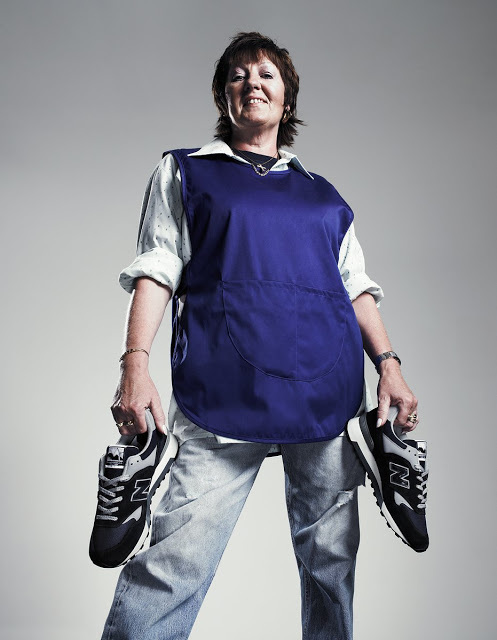 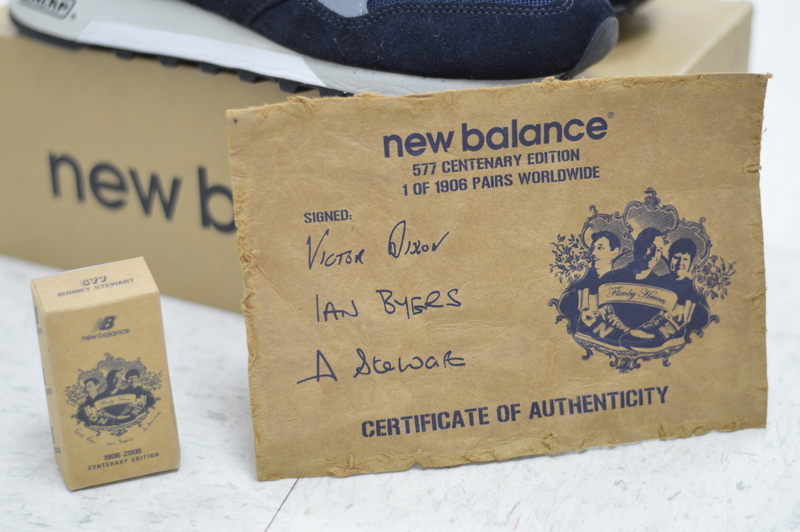 For this celebration, NB were to produce three limited edition trainers to honour it’s three longest serving employees; Audrey Stewart, Ian Byers and Victor Dixon, who each have around 70 years of work between them at the Flimby factory, these are our ‘Flimby heroes’. 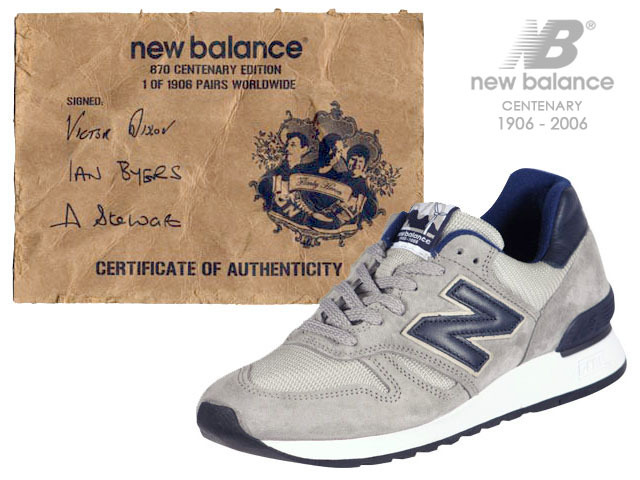 This celebration would be kept simple but effective, with the original grey/navy colourway being used on the three models, and only 1906 pairs will be produced. 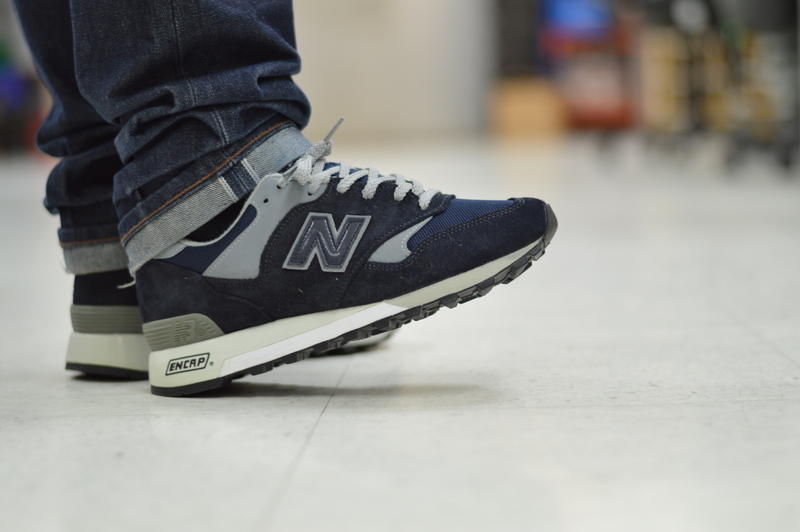 This may seem a large quantity when we compare it to numbers of store collaborations of around 120 units, but trust me, these pairs are harder to come-by than some of the rarest collaborations. 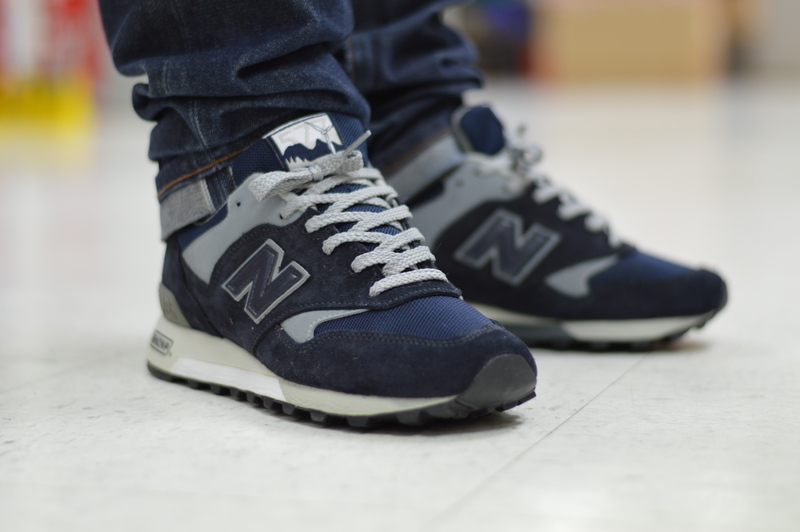 Maybe it’s because they were bought, worn and appreciated like they should be, or some other reason, but if you have the set then consider yourself lucky! 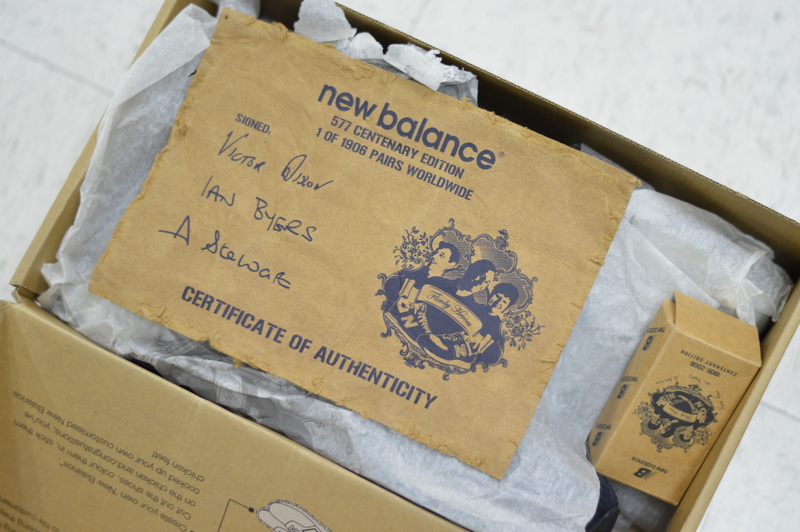 Ian Byers who appears on the 1500 has also been working with New Balance since 1982 and works as the ‘toe and side laster’. 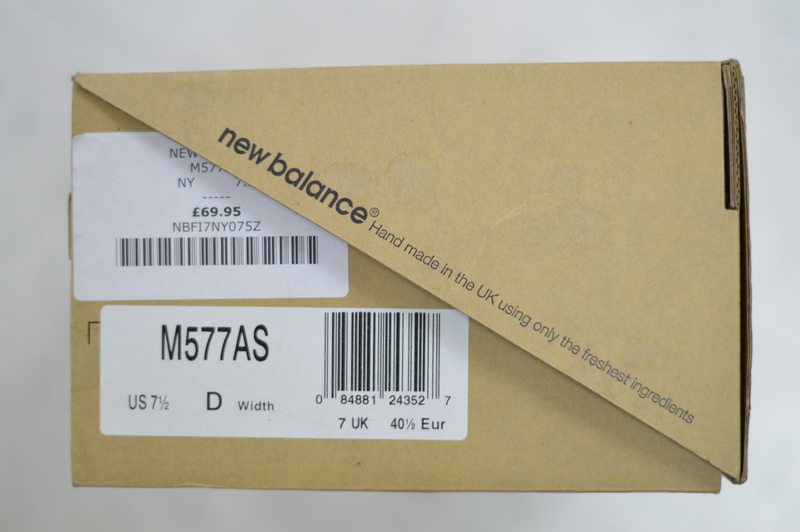 Just for reference, the model codes are as follows – 577AS, 670VD and 1500IB. 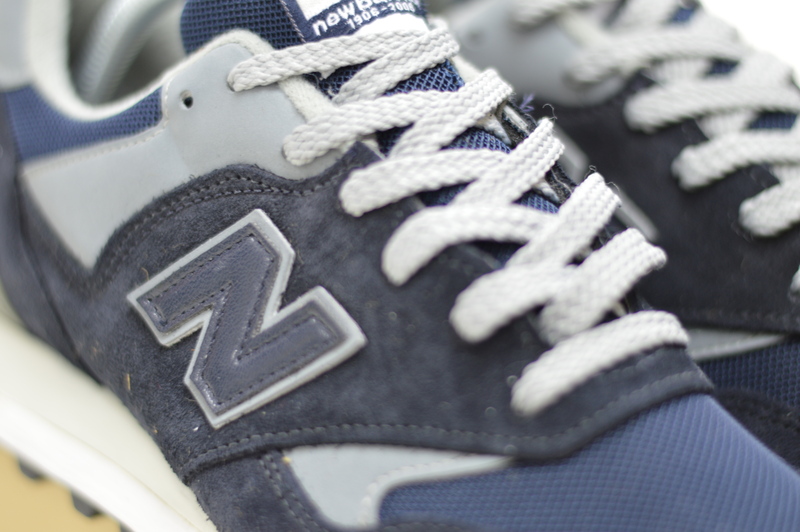 Now that you’ve got an overview of the project, here’s a little bit about the 577AS with some detailed images and on-foot shots. 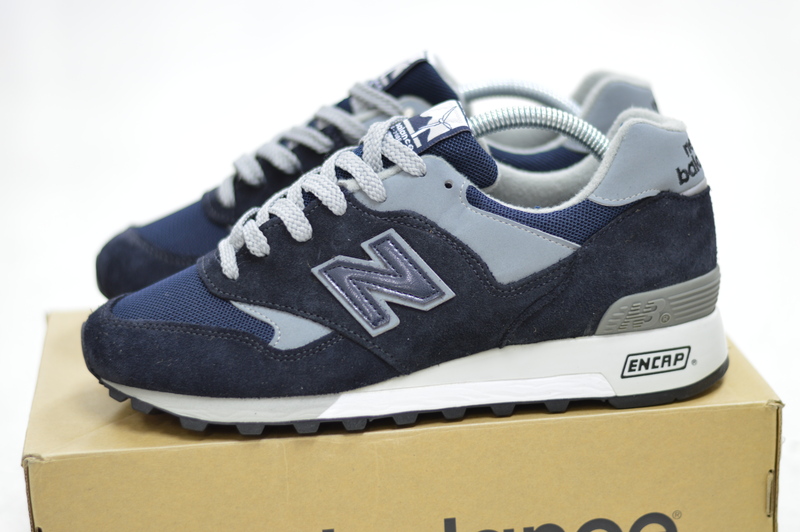 In my person opinion, the 577 is the best of the pack, and it’s made even sweeter because of the fact that the 577NG is produced and released every year with a consistently higher price but a consistently lower quality, which the price definitely doesn’t justify. 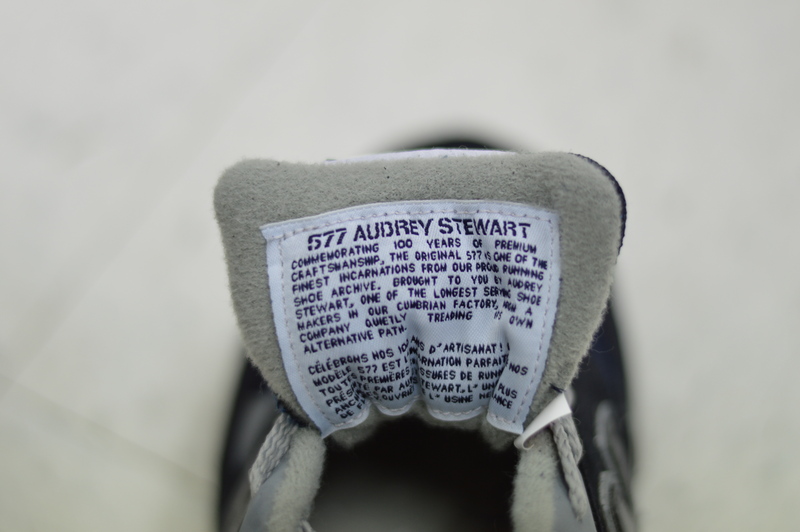 However, the Audrey Stewart version of the 577, mainly because of the time it was produced (577NG from this time frame are the same quality), has a lush premium suede upper with premium nubuck and mesh underlays in a navy and grey colourway. 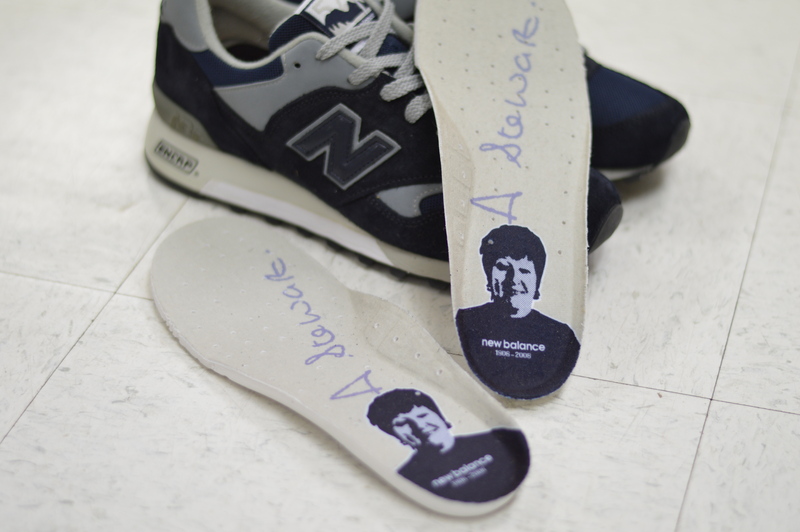 Like I said, simple but effective. 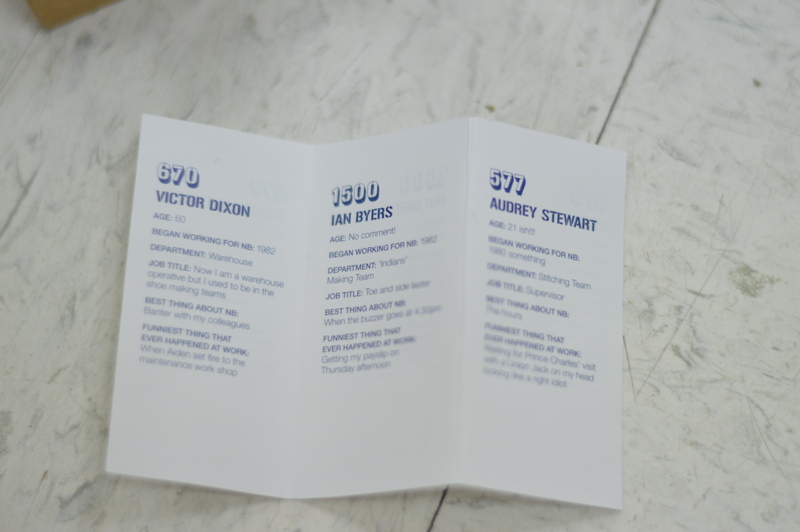 The AS features a tongue tab with a graphic on it of hills and a windmill, rather than the traditional text. 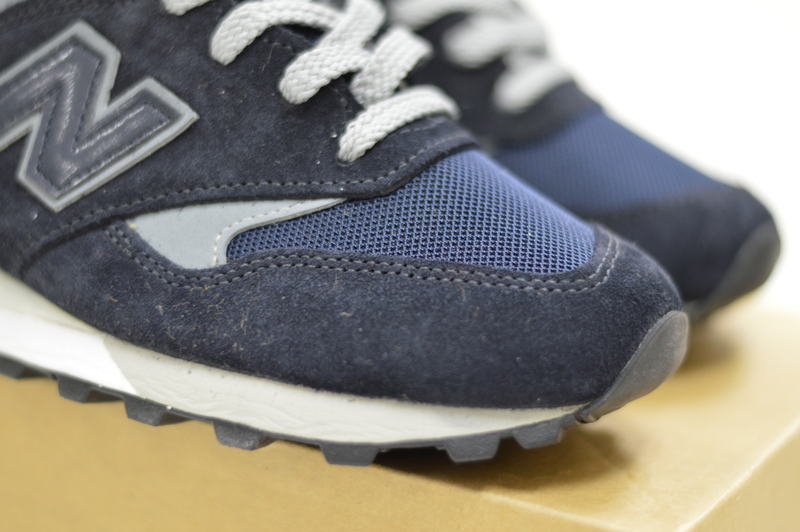 One of the major plus points of the AS is the shape; because it is from 2006, this pre-dates Flimby’s experimenting with toe puffs and therefore the down-hill of the ‘sharp wedge’ shape that is sought after so much.